An idea ballad not to be missed during your holiday stay at Camping Le Moulin Du Pont d’Alies in Aude, France. A half an hour of camping you will discover an exceptional site formed by nature. 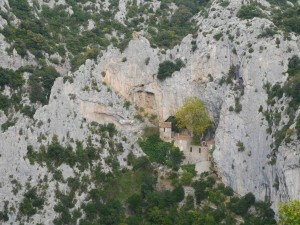 From the campsite you take the D117 towards Saint Paul de Fenouillet and follow the signs to the gorges of Galamus. 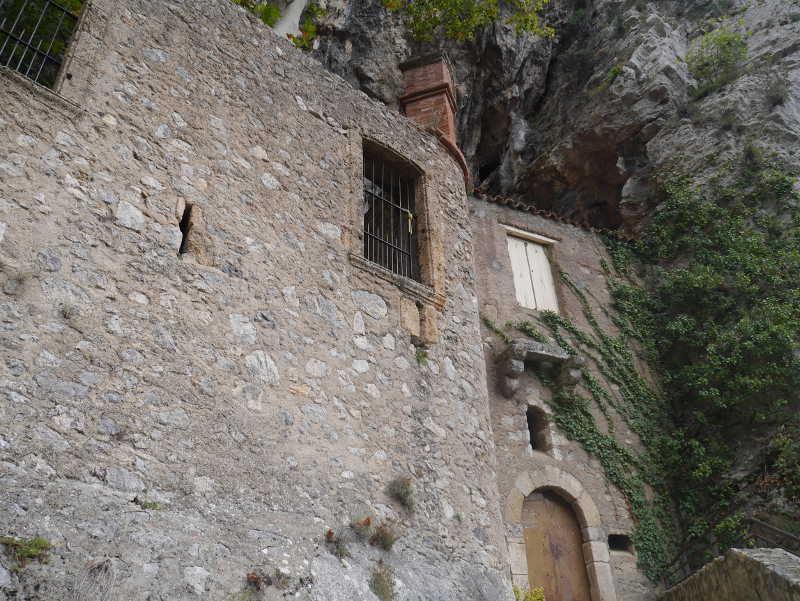 These gorges are a step on the road of Cathar castles to the castle of Corbieres, 8 km away. For an overview here is our video of the ballad. L’Agly the river also called “River Eagles”, descends from Hautes Corbières, the Pech de Bugarach to go into the Mediterranean Sea. Over the centuries, she dug a furrow in the limestone with a krastique relief on more than 500 m deep. 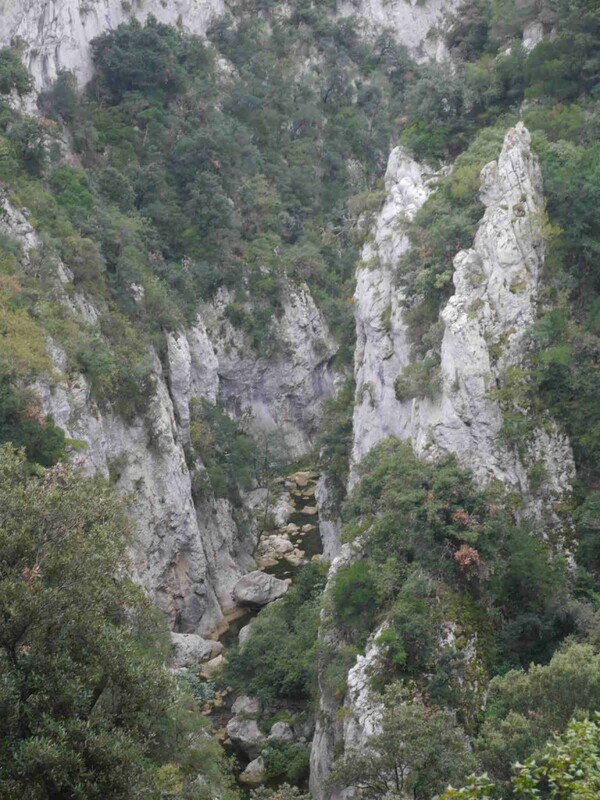 When you’re on the road grooves, coming from Saint Paul de Fenouillet, you see the river 100 meters below ! You can walk along the river on marked trails or by canyoning. At the campsite, we will give you information necessary to safely visit this wonderful site. Clinging to 376 m in the cliffs of the gorge the chapel of the Ermitage Saint Antoine is a unique place with its unusual character. In fact, the chapel is in a cave! After leaving your car parking, footpath (see video) takes you to the Hermitage, barely visible from the road, well hidden in the rock. The tour is available from April 2 to October 30 and in addition it’s free! 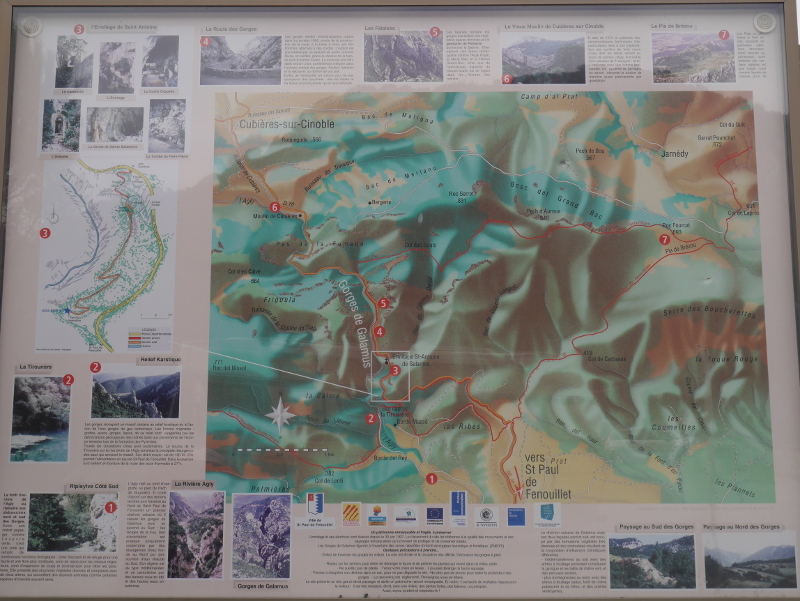 Here is the panel you’ll find on the lookout for parking access to the Hermitage. The gorge trail you can visit too: the Campanile, the Oratory, The tomb of Brother Peter Cave Sainte Madeleine. At the end of the tour you can take the road to gorge on Cubieres Cinoble where you can visit the old mill. It dates from 1073 and has very specific technical characteristics related to its location on the borders of three rivers: the l’Agly the Cinoble and Traouquel. It operates with a horizontal turbine. A system of dams upstream supplies almost permanently turbine by gravity ! Enjoy your visit and see you at your campsite Aude, Moulin du Pont d’Alies! You have visited? You know the area? Thank you to leave us your valuable comments below!